Rejection: New Yorker Festival T-shirt Ideas | When Do They Serve The Wine? My job as a cartoonist involves a lot of rejection. Every week, I draw six or so cartoons and if I am lucky, The New Yorker buys one. Here, I show you the results of another kind of rejection: sometimes my editor puts a call out to us (maybe 30 cartoonists, not sure of our numbers) for a “special” assignment. We can submit for the assignment or not, it’s our choice. 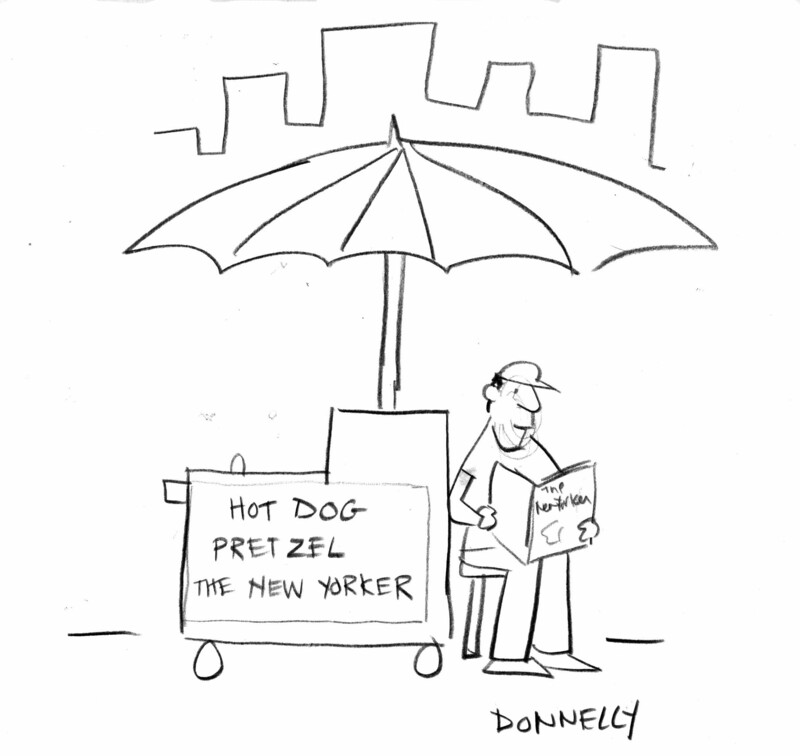 This time, it was to draw ideas for a t-shirt for The New Yorker for its festival this fall in NYC. Here are my two submissions. I did not get the prize. A vast amount of my work never sees the light of day (so to speak), but that’s part of my job. And yet-I love my job. 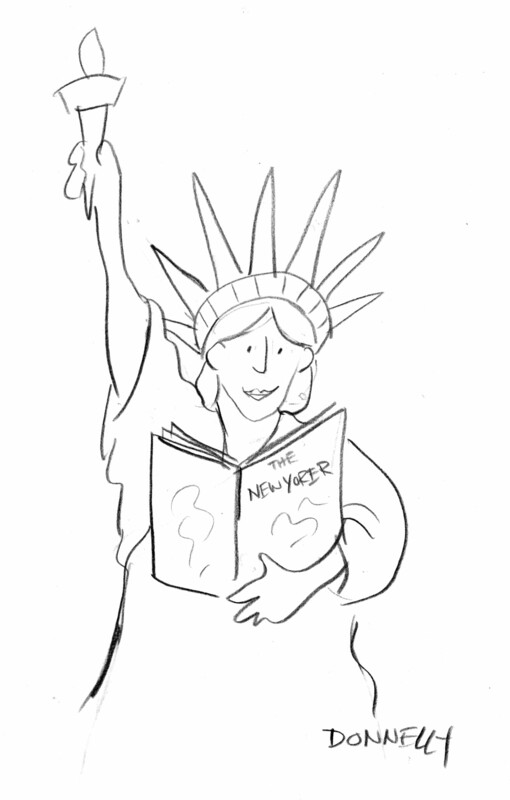 This entry was posted in Random but Relevant and tagged Art, Cartoon, cartoonist, New York City, New Yorker, New Yorker Festival, Statue of Liberty. Bookmark the permalink. You get my prize every day. I am so glad you let us see these! Keep ’em coming. Aw, thank you, Dena! I love you and I love my audience here. What was the New Yorker thinking? We should think about a Donnelly T-shirt line anyway…eh? Who knows, Scott? And, we should!! Thanks. If I was the NYer cartoon editor, you and Michael would be in the magazine every week! I’ve enjoyed Cartoon Marriage many many times! Okay, Douglas, let’s get you signed up! Thank you very much for saying that. Both Michael and I are huge fans of your work as well. And I am not just saying that!! I like both of them. You do good work, Liza.